What’s the tourism legacy of the 2012 London Olympics? Many of the parties — from Heathrow to developers — involved in the London Olympics reached out for help from previous Olympics hosts. Its success both throwing the games and retrofitting after them is due to largely to their willingness not to take anything for granted. With the Olympics over, London & Partners’ former marketing director Martine Ainsworth Wells considers what long-term tourism benefit the Games have left London. The 2012 Olympic Games provided London with a once-in-a-lifetime opportunity to showcase the city as a top visitor destination. The Mayor’s international promotional agency, London & Partners, and the Greater London Authority were charged with identifying the threats to and opportunities for tourism and strategically delivering his promotional objectives. The critical issue facing major event host cities is “displacement”. Visitors avoid cities for a year before, during and after the event due to fears of over-pricing, overcrowding and an unwelcoming atmosphere. When London won the rights to host the Games in 2005, Visit London and VisitBritain initiated a seven-year stretch of extensive consumer research to understand the scale of the threat and to introduce mitigating campaigns in response. In 2011, Oxford Economic Forecasting estimated that the main threat in the pre-Games period could result in 268,000 lost visitors worth £141m. Data from the Office of National Statistics so far covers January-June. London arrivals during that period were up 2.3 per cent, equalling 150,000 additional visits. Tourism receipts were 7 per cent higher – a £250m increment. It appears that pre-Games displacement was neutralised by the Diamond Jubilee and a programme of exclusive ‘limited edition’ events, created and promoted specifically to tackle the issue. Oxford Economics then predicted that 881,000 visitors would stay for at least one night in London in order to see the Olympic Games. This influx was anticipated to be neutralised by 771,000 ‘regular’ visitors who would stay away. The city does not yet have data to verify if this transpired, but it did see a dramatic switch in the profile of visitor. Retail, theatres and attractions saw dramatic decreases in attendance, as visitors who came to see the Games did exactly that and based themselves around the sports venues. In future, when the city is hosting major events, sectors likely to be affected should work collectively to create limited-edition activities, which are promoted at other times. This would make up for some shortfall. In the lead-up to and during the Games, London & Partners and the GLA delivered the London Media Centre (LMC) for non-rights holding journalists. The LMC provided information on and access to over 600 events covering food, fashion, film, design, culture and much more. Over 8,700 journalists from 102 countries registered, ensuring that the best possible image of London could be presented. As a result of the city’s raised media exposure, the 2012-2017 legacy phase is expected to see an additional 1.1million visitors worth £900m. The challenge that now faces London is twofold: How does the city covert that exposure into real visitors and how does it maintain the relationships that it built with the media? “London: Now See it For Yourself” is the global campaign I put in place to convert “viewers into visitors” immediately after the Games. With a return of 4:1, the campaign may deliver £4m of incremental visitor spend. That’s some way off the £900m target. Australia did not commit significant budget to post-Games marketing, thinking that by hosting it people would flock to the city afterwards. That didn’t happen. I worked for a London radio station in Sydney during the 2000 Games. When we returned to London there was ‘Sydney/Australia’ fatigue. So how does London tackle this challenge? It must show gratitude to journalists that gave magnificent exposure to the city; refrain from pitching stories to them for some time; and indicate when it will be returning to them and what the nature of the story will be. Finally, the city charged itself with warmly welcoming visitors during the Games. Some 8,000 volunteers became “Team London Ambassadors”. Situated throughout the city, their purpose was to ensure that people got to where they wanted to go and received inspiring and practical information. They have been repeatedly deemed one of the most successful aspects of the Games. During October half term they were back into action at Eurostar’s arrivals terminal and they welcomed American football fans to an NFL match at Wembley. The scheme clearly had an impact on visitors and it must now be able to prove that it does persuade visitors to spend more money in the capital. The city, in turn, should thank volunteers by providing more rewards for their tireless efforts – free entry tickets for example. 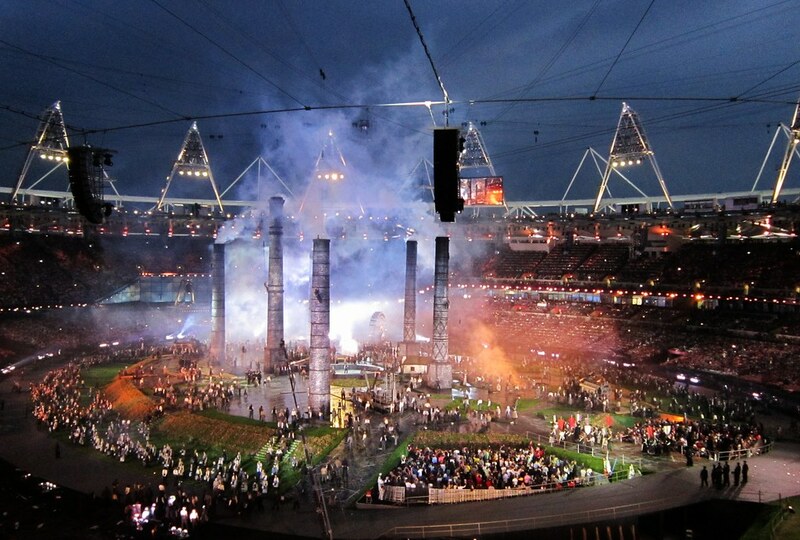 London during the 2012 Olympic and Paralympic Games was a truly amazing place to be. I was proud to work for the host city and to tell London’s story to the world. But London must not be complacent and simply believe that it has the right to a positive tourism legacy – it must continue to support an industry that is invaluable to its economy and global reputation.